To your you being you. 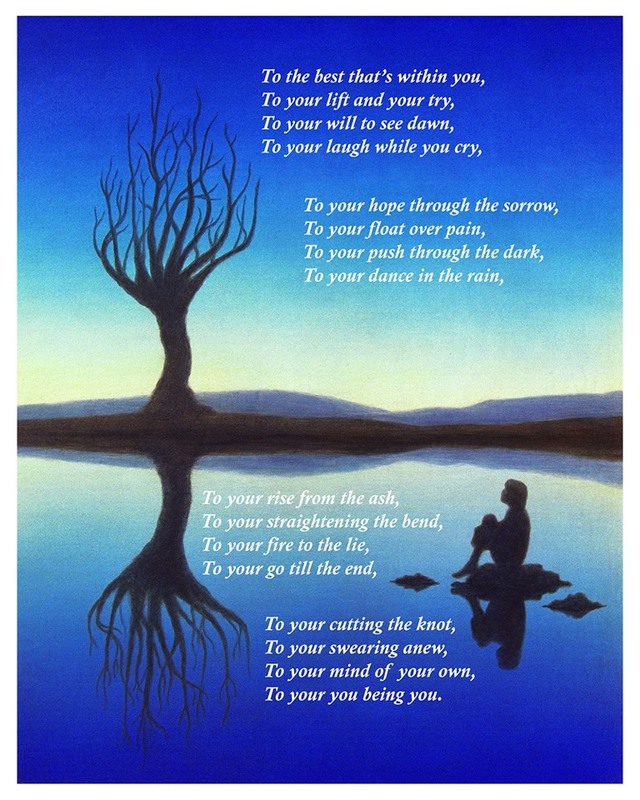 The Evening Tree, painting and poem by Quent Cordair. Now available as a signed print @ Quent Cordair Fine Art, http://www.cordair.com. The print measures 11″ x 14.” Signed by the artist/author. Introductory price: $95. Contact the gallery today @ 707-255-2242 or email art@cordair.com.